Recently, my mother called to check if I had finished the Kokum juice and dried Kokum that she had given me when I had visited her during the summers. I have been having Kokum for so many years but had never checked its nutritional content. It always acted as a rescue food in most of the digestive illness which my family suffered. Today, I however thought to check more about it and share with all of you. Kokum’s botanical name is Garcinia indica. It is a tiny fruit which is red in colour when it is raw and turns into deep purple when it ripens. It is then dried and used as a culinary and medicinal agent in most of the houses. Nutritional value of Kokum is amazing. It is low in calories, no saturated fats and high in fiber. Apart from this it is rich in Vitamin C and also contains vital minerals such as Potassium, Manganese and Magnesium.WOW! What a power packed food. I very well know about its contribution in fighting all the digestive issues but when researched more about it, here is what I found. Anti-oxidants: Kokum fruits are packed with antioxidants which ensure protection from all the worldly diseases. It also promotes cell regeneration and repair which makes it an important nutrient to consider for cancer patients. 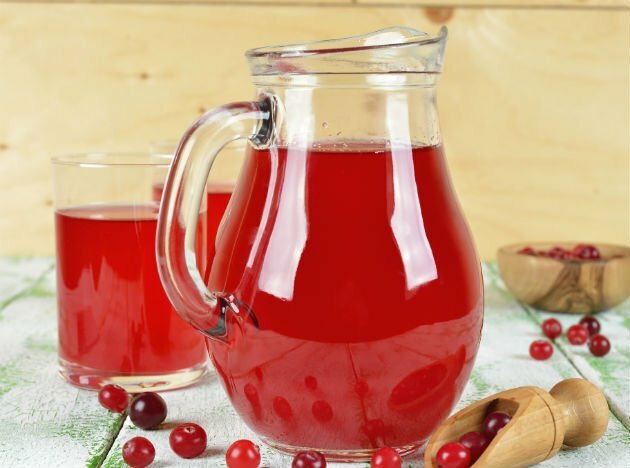 It’s anti-oxidant and anti-inflammatory properties stops the growth of cancerous cells. Get rid on your allergies:It can be used as an application to get relief from any allergic skin rashes. Applying kokum butter on cracked heal has proved to be an excellent cure for my mother which she shared with me. Kokum butter, an emollient similar to shea or cocoa butter, is often used in cosmetics such as lipsticks, moisturizing creams, conditioners and soaps. Beat the body heat:People store them to use it as a coolant and refreshing drink in scorching summer heat. It can be used as thirst quencher throughout the year by adding to your bottle of water. * Constipation: Approximately 500 mg of dried kokum fruits if taken at night, helps to ease constipation. * Hyper acidity: In 1 liter of water, drop 6 to 7 dried kokum and keep sipping it throughout the day to get relief from acidity. * Flatulence: Make a nice mixture of kokum, ginger, organic honey and get quick relief from flatulence, stomach pain and gaseous distention. * Indigestion: Due to lot of travelling my husband faces a lot of indigestion problems. Kokum has always helped him to get quick relief. He remembers to carry Kokum along with black pepper wherever he goes. Add it to your water and sip it. Apart from all these, name any gastric and digestive issues like piles, fistula, dysentary, kokum has shown wonders. Not to forget about its antihelmintic (against worms) properties. You can give it to your kids to cleanse their system too. Aids in weight loss: The hypocholesterolaemic agent, suppresses the activity of the enzymes responsible for conversion of calories into fat. It induces weight loss by hindering with the process of lipogenesis (fatty acid synthesis). Side-effects and Precautions: The fruits of Gracinia indica shouldn’t be used in excess. Milk and milk products should be used after one hour. The dried version of kokum is used in daily preparation in most of the Marathi, Gujarati, Konkan, Kerala and Goan cuisines. They are added to veggies, dals and curries to give it a sour taste and obviously reap its other benefits too. Soak 10 to 12 kokum rinds in 1/2 cup of water for about half an hour. Next squeeze them and add 2 cups of warm water and 2 cups of coconut milk to it. Add salt and temper it with mustard seeds, cumin, garlic, asafoetida and red chillies. Enjoy this delicious recipe with after you meals or with rice. Vrushali comes from a Public health nutrition background. Masters in the field of Public Health Nutrition, she has worked with a leading international NGO as a nutrition consultant on various projects for addressing malnutrition in children, pre and post pregnancy diets and importance of diet for adolescent girls. She also speaks at several nutrition awareness programmes organized by the Government to educate the villagers as well as block, district and state level government officials. She is a certified Master trainer for “Infant Young Child Feeding Practices” and has conducted various sessions for pregnant & lactating women, care takers, hospital staff and adolescent girls through interactive, theoretical and role plays. She has been working to spread nutrition awareness among both the rural and urban population through various mediums like radio talk shows, street plays, school and college events and by counseling patients in hospitals. She strongly believes in the old saying “health is wealth”. “Being healthy for me is to be healthy both physically and mentally. I use my hobbies like listening to music and art (creativity) profoundly to be mentally fit and swimming and dancing to stay physically fit,” She ssays.